A team from the Philadelphia Science and Leadership Academy is up for a $5,000 prize in a cyberbullying-filmmaking contest. Voting ends at 11:59 p.m. Friday. 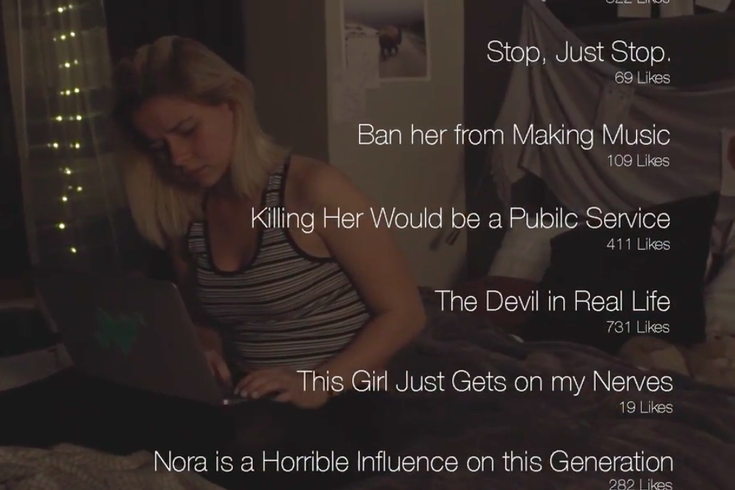 Students from a Center City high school who produced a video as part of the Cyberbullying Film Invitational are seeking your help to win the $5,000 Public Choice Award prize. “Media Darling: I Am Alone in a Sea of Voices” already garnered the team from Philadelphia Science and Leadership Academy at 22nd and Arch streets a $1,000 prize for being named a finalist in the competition, part of the All American High School Film Festival. You can vote via the All American High School Film Festival website (the SLA entries are the 25th and 27th of 27 videos featured on that page). Created to “kick off a new national effort to raise awareness for the issue of cyberbullying,” nearly 30 schools across the country participated in the contest. SLA was one of five schools named as finalists in judges’ voting; that list also included Cedar Crest High School in Lebanon, Pa.